Hey there, I am the Fruity 1, for I am here to help spread Happiness & Joy to those around me. I was not always so positive, I Experienced a very depressing past & I do not wish that upon Any Soul! Moreover, I use My Story as one of Inspiration & Motivation to Encourage You to be a Brighter You! Because we All want to help improve the world.....1 Epidermis at a time! 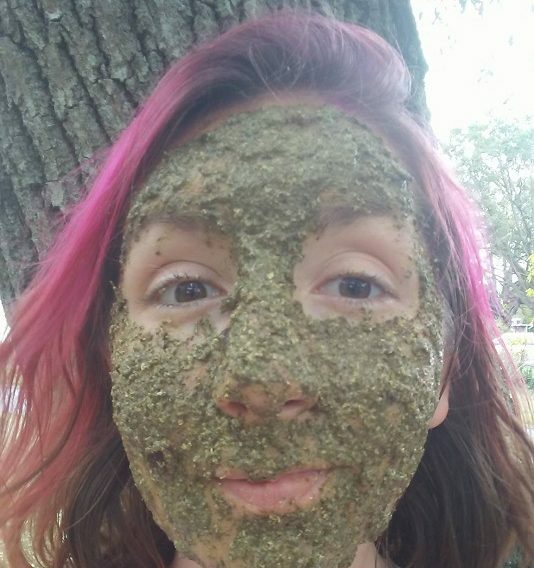 This is a 4 ingredient Plant extract facial. Organic ingredients Green tea, Oatmeal, Tapioca and Fruit. Perfectly Proportioned for your ultimate satisfaction. Give your skin Nutrition & Oxygen. Tone, Tighten & have yourself a Naturally Enhanced Glow. I Guarantee your satisfaction 100% Money back Guaranteed. A Healthier Epidermis can give you a better over All health. Improving organ Function. Fruityz on your face can put You in a Happier place.